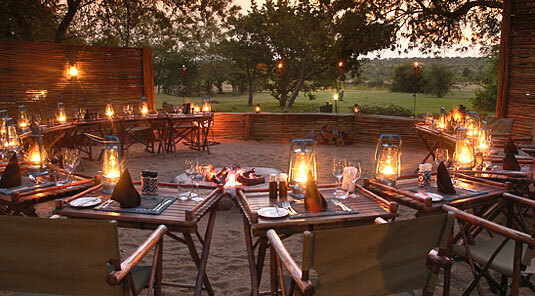 The unique Savanna Private Game Reserve is situated in the world reknowned Sabi Sand Game Reserve, which borders South Africa's famous Kruger National Park. 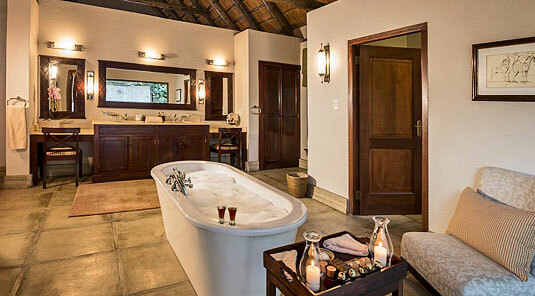 The four Luxury Suites are slightly smaller than the Executive Suites but are intimate and romantic. 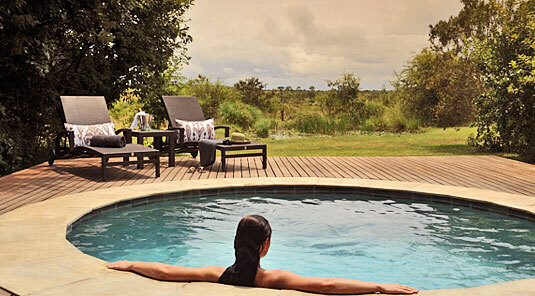 Panoramic views of the bush can be enjoyed from the private verandah. 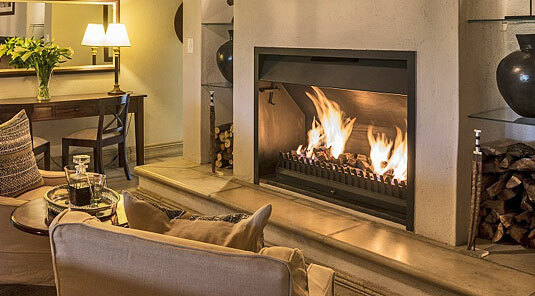 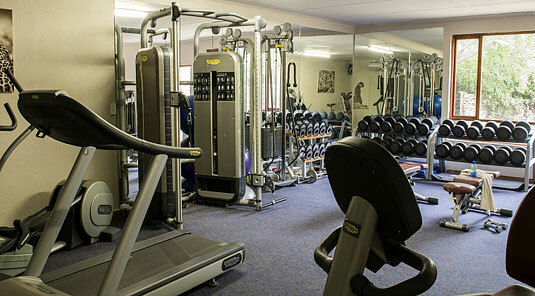 These Suites are air-conditioned and are tastefully decorated, offering absolute luxury and comfort. 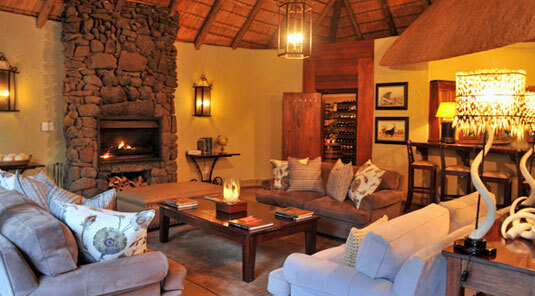 Each Suite has a well stocked mini bar and a tea/coffee station. 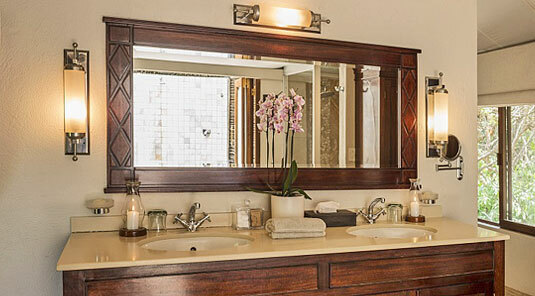 The bathroom has a double wash basin, French bath, shower and seperate toilet. 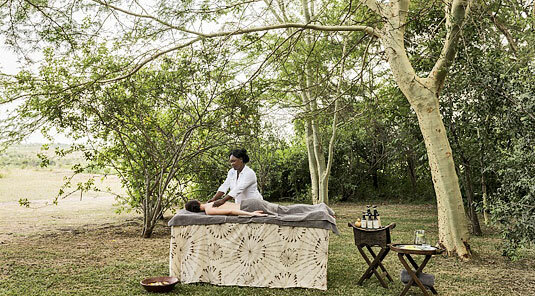 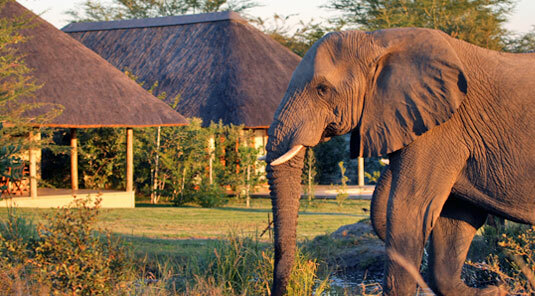 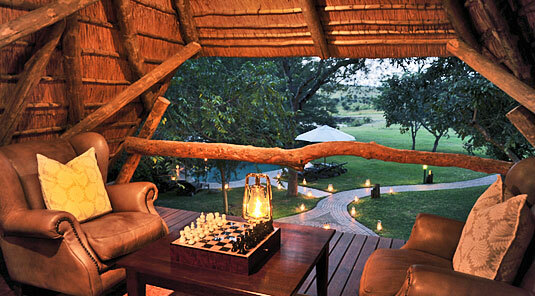 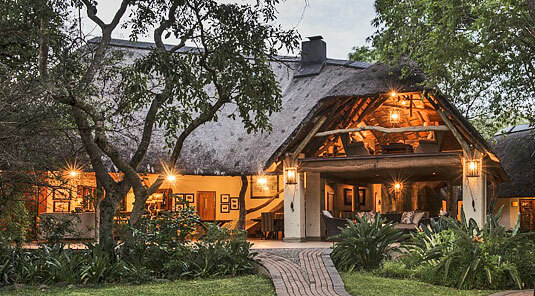 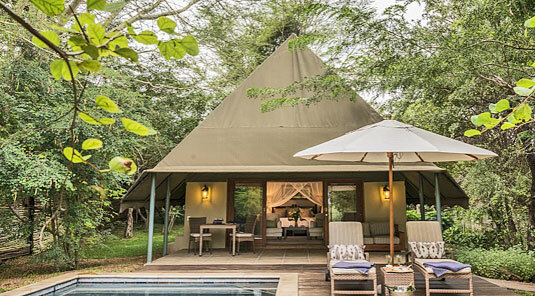 The three Executive Suites are secluded and private with an uninterrupted view of the bush. 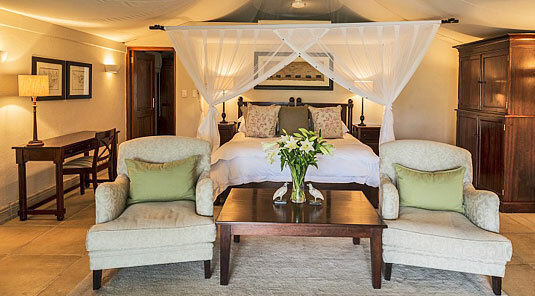 These air-conditioned bedrooms are large and have a lounge area with writing desk, a fully stocked mini bar and a tea/coffee station. 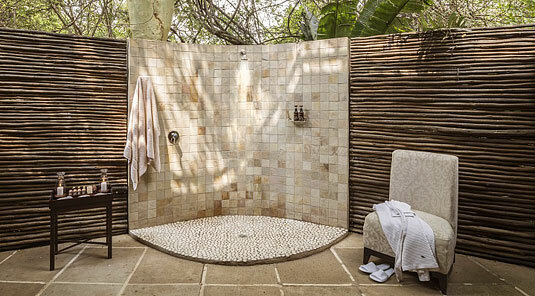 These Suites may accommodate a third person sharing. 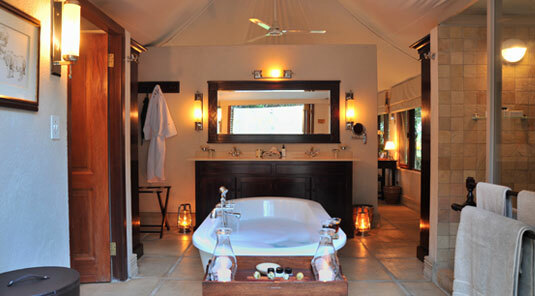 Each bathroom has a double vanity, a French bath, double shower, seperate toilet and a private outside shower. 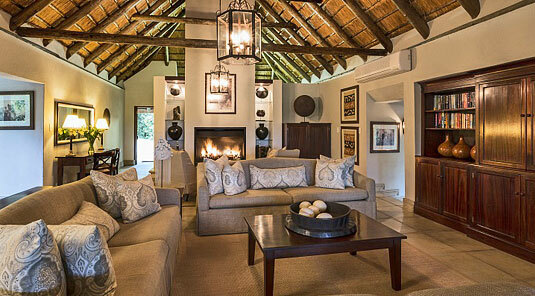 The Savanna Suite is the epitome of luxury and comfort. 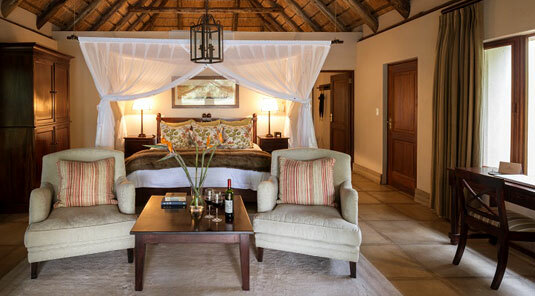 Designed under thatch, it can accommodate up to four guests in two beautifully appointed bedrooms. 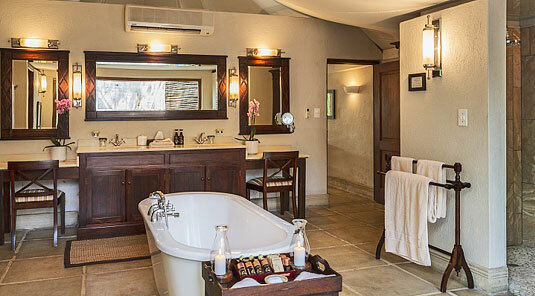 Each Suite has a wooden deck which leads onto a private plunge pool. 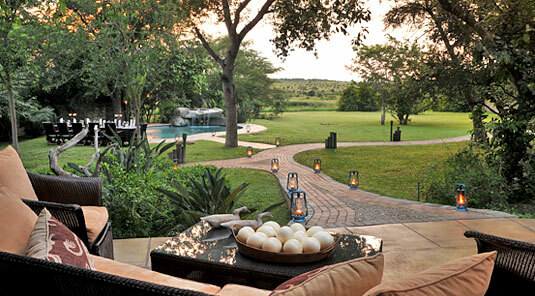 Situated at the very edge of the bush, the view is uninterrupted onto a waterhole.. 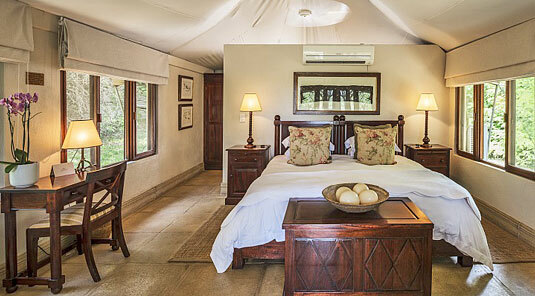 The bedroom is tastefully furnished to offer the highest levels of comfort and luxury. 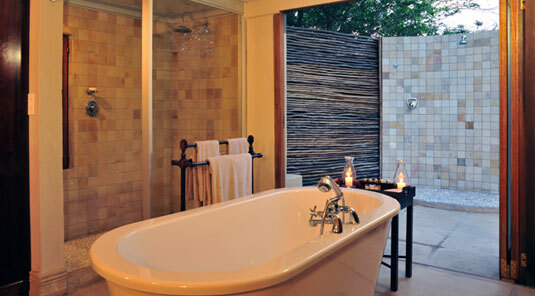 The bathrooms are spacious with a "his and hers" vanity area, free standing French bath, shower, seperate toilet and an outside shower. 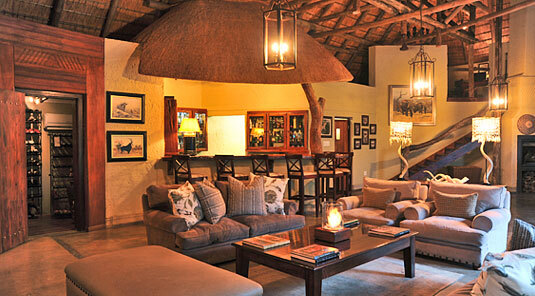 A large lounge/dining area divides the two bedrooms and is equipped with a TV, DVD and video machine. 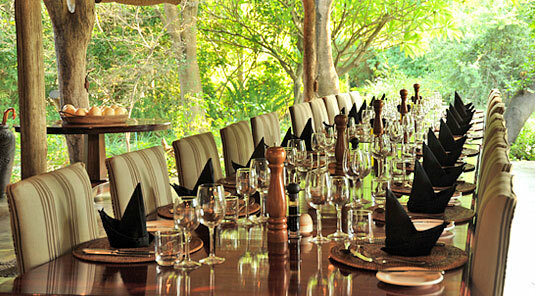 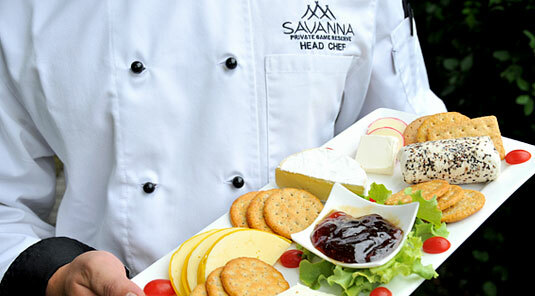 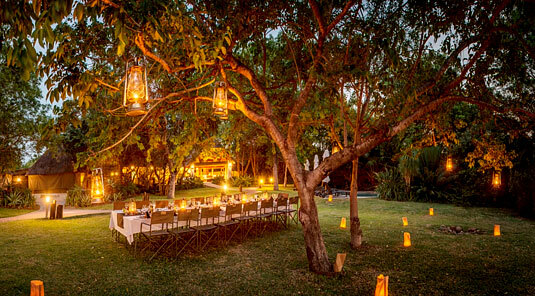 Guests may enjoy private meals in the dining area or on the verandah. 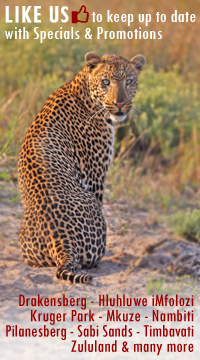 Savanna traverses over ten thousand hectares of pristine African bushveld where frequent sightings of Africa's big game occur during early morning, late afternoon or evening game drives. 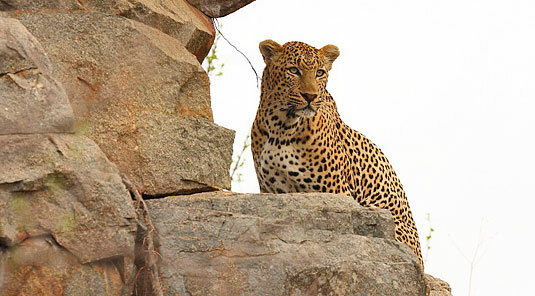 The Sabi Sand Area is renowned for having the best leopard viewing in the world and is known worldwide as " The Land of the Leopard". 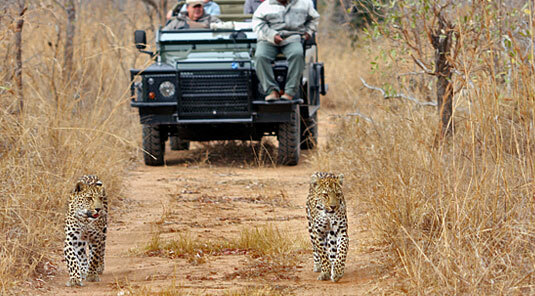 State of the art landrovers are used for game drives and have been expertly modified to ensure your safety and comfort. 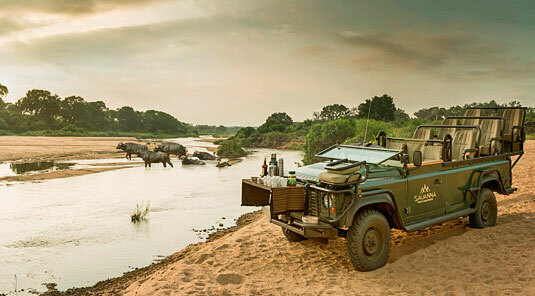 To maximize photographic opportunities there are never more than two people in a row on the Landrovers and never more than two vehicles at a sighting. 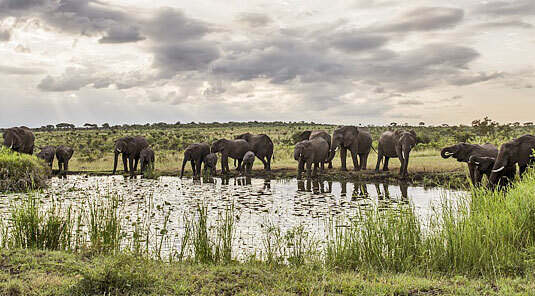 The afternoon game drive is purposefully interrupted for sundowners to witness an african sunset, and the absolute peace and quiet of the bush. 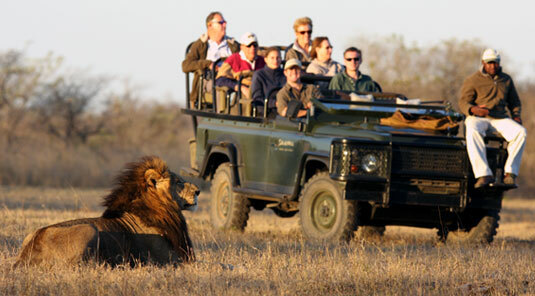 Optional walking safaris are conducted daily, in order to experience the beauty and fascination of Africa's flora and fauna. 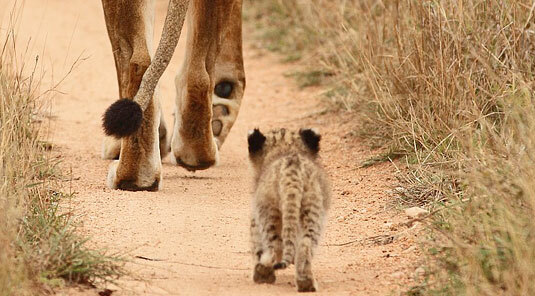 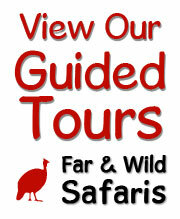 Daily trips from the Lodge to the local Shangaan Village and a tour of the scenic Panarama route is offered. 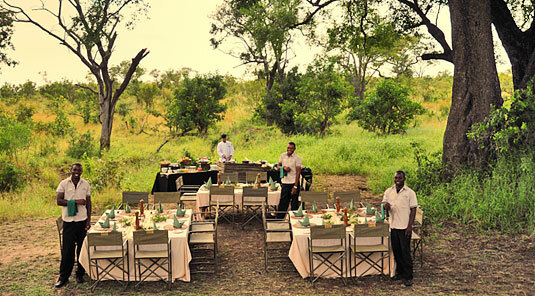 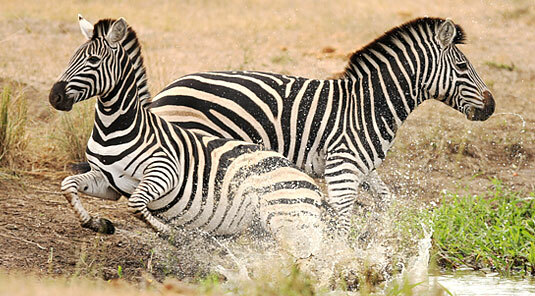 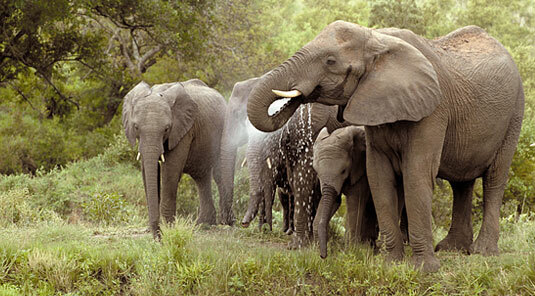 These activities are offered during the day and will not affect participation in the daily game drives. 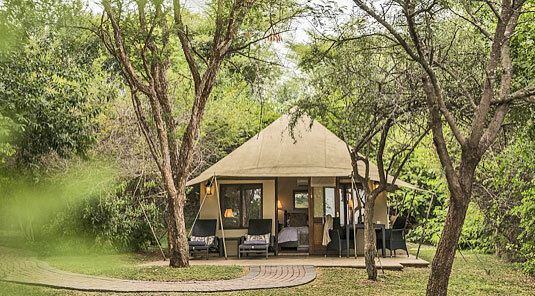 (Rates for the above on request). 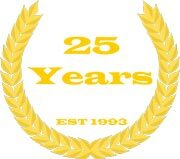 8 yrs and older only. 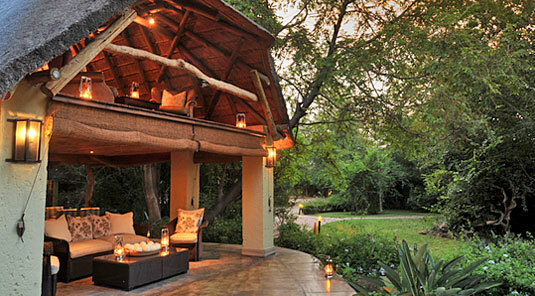 Executive Suites may accommodate a third person sharing. 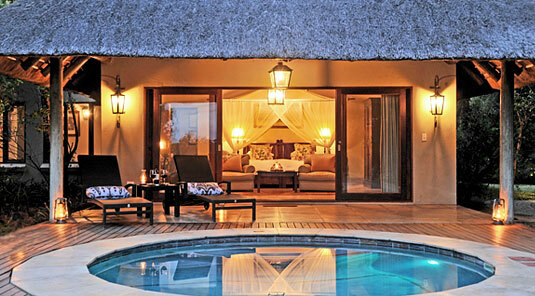 Savanna Suite has two bedrooms + lounge can be used.